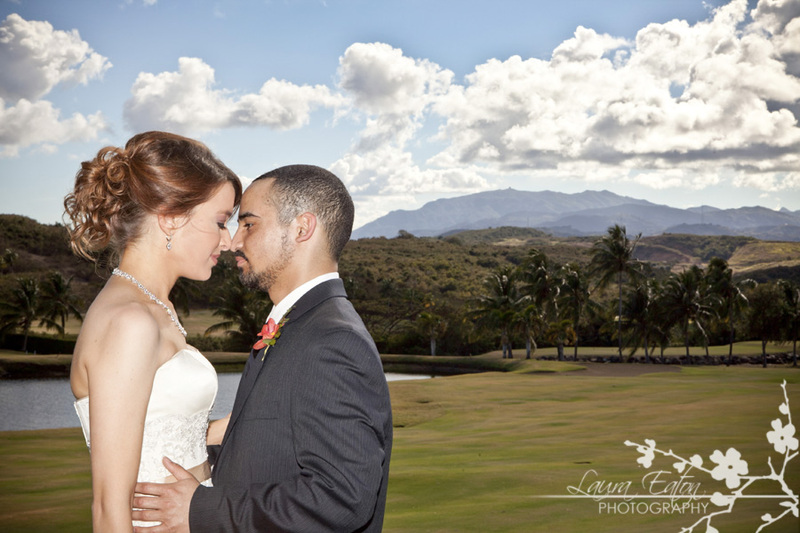 Destination weddings are amazing and beautiful, but logistically, they can sometimes be difficult to pull together, so that is why we were so excited when Dave & Alison asked us to photograph their wedding in Puerto Rico. They told us they couldn’t imagine anyone else photographing their wedding, so we simply honored and thrilled to be a part of this amazing trip…. Dave & Alison spent of a lot of time planning their intimate wedding (they had a total of about 15 guests), and their attention to detail and care for their family & friends showed in each and every moment of their day. They chose El Conquistador Resort for its beauty and style – it truly captures the essence of Puerto Rico. The staff was truly amazing, and the food! We were so impressed with the dinner and service. We could not recommend El Conquistador more highly. This was Dave & Alison’s “First Look” at the gorgeous infinity pool overlooking the ocean. The expression on Dave’s face is just priceless.